It was the first day of school. I had just pulled up to Acre Coffee to meet a Mommy friend for a celebratory cup of coffee. With a quick glance into my car mirror, a wipe of tears from my eyes and a smoothing pat down of my morning hair, I was ready. Minutes ago I hugged my 3rd grader and kissed my little Kindergartener good-bye. I gulped back the sadness of letting them go while simultaneously doing leaps of freedom inside. 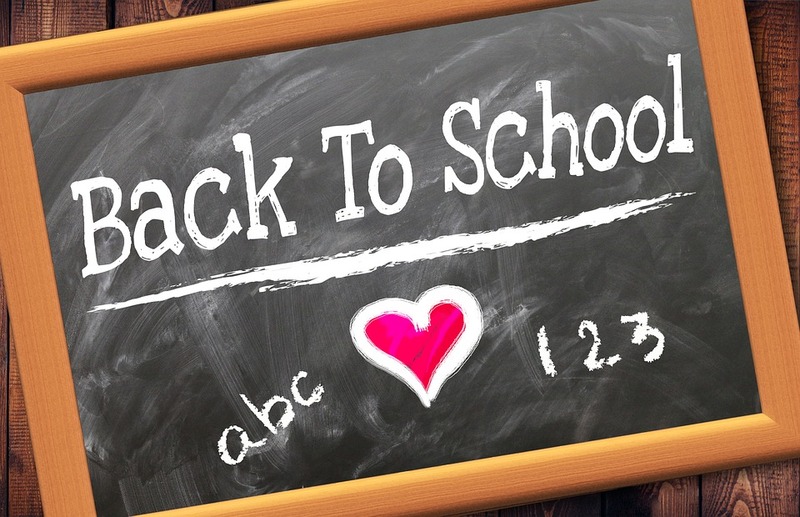 What is it about back to school? We scroll through tireless pics of back to school moments on social media. Mini versions of ourselves clutch “First Day of School” signs on front porches. I posted my own, yet I know these endless photos may get old. The photos, the posing, the posting… Why do we do it? Back to school marks an important transition for so much of us. It feels big because it IS big. Transitions feel so big because they designate the end of something and the beginning of another. We are often shaken to the core as change is imminent and can be innately frightening. Yet excitement beckons because with change comes transformation. Like caterpillar to butterfly. Or better yet; like caterpillar, to a larger, more awkward, gangling, yet adorable… caterpillar. As we crawl through these transformations, how DO we calm the tremulations inside ourselves and in the tummies of our children? In the therapy world we talk about the importance of ‘being seen’ through these turbulent times. An innate need to be witnessed through any transition in our lives, like back to school. Earlier I witnessed my own children through their nervousness, excitement and the all-important moments of saying good-bye. Just like my sweet friend witnessed me wiping my tears and gave me that soothing hug I needed. Witnessing can be as simple as quick hug or a naming of the emotion “I get that you’re nervous and excited buddy, I am too!”. Transitions can be tumultuous and being seen can be very healing through these times. Our seemingly innocuous rituals like social media posts, special dinners, trips to ice cream, or that sweet note in a child’s lunch box can help us through. These rituals are the ways we bear witness to each other through it all. However you mark your transitions, take note. These rituals help signify these special and soul-shaking moments in our lives. They are the ways we make sure others know they are witnessed through transitions, and how we feel seen through our own. So here we are. And whether we embrace or simply cringe through another back to school season, we are all going to get through it. And as our children take this next step toward independence, we are moving through our own process of growth as well. Meet a friend for coffee, take yourself out, or just sit in the precious silence at home. This moment is big. Don’t forget that you need to be seen too.